In the last quarter of 2014 total bank exposure to Russian debt added up to 242 billion dollar. Banks in France, the United States and Italy were leading in exposure. 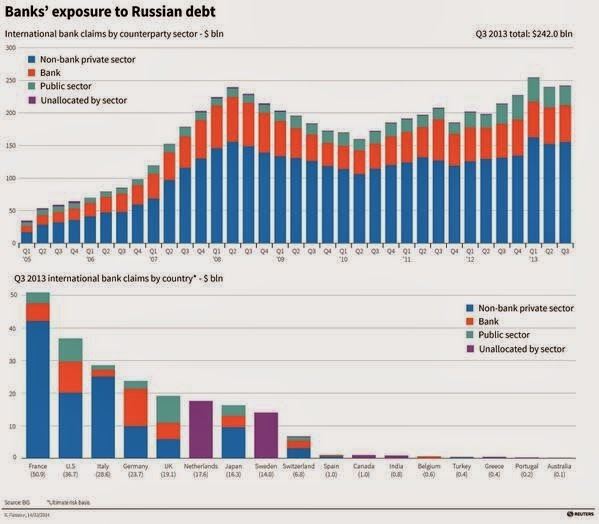 Most money is lent out to the non-bank Russian private sector.